The Joint Communications Unit hosts a recruiting brief open to all service members at U.S. Army Garrison Bavaria. The brief is Oct. 15, beginning at 11 a.m., at the Tower Theater. Those interested are encouraged to attend the recruiting brief and meet with recruiters who can facilitate their accession into the Unit. The Joint Communications Unit, or JCU, assesses Soldiers, Airman, Sailors, and Marines in more than 32 communications specialties for positions in the command. 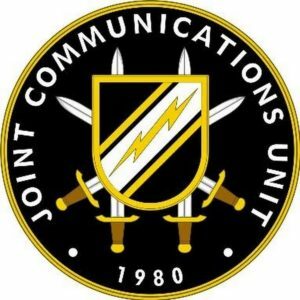 The JCU provides communications support for the Joint Special Operations Command. Additionally, JCU conducts research, development, testing, and evaluation of special operations communications tactics, techniques, procedures, and equipment in support of special operations forces.